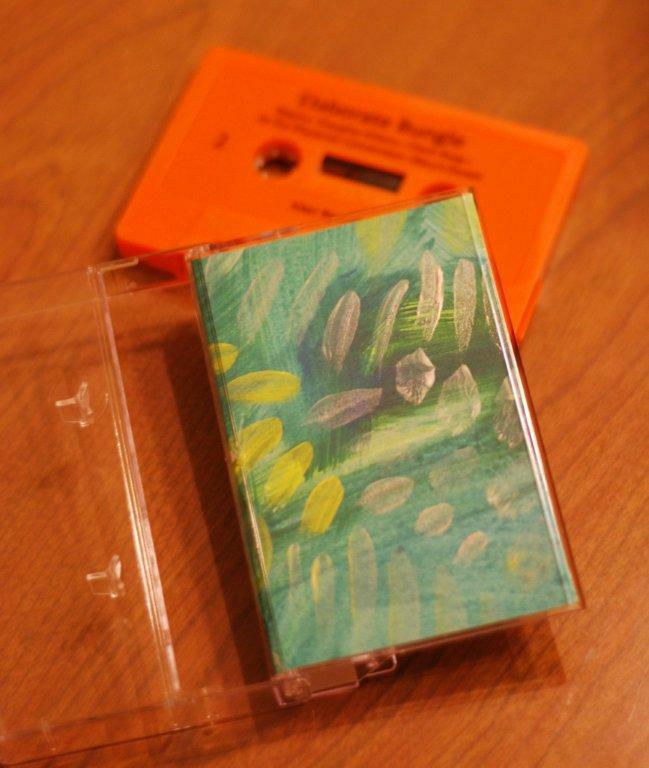 Icker Records is excited to announce its most recent limited edition release on cassette (yes, we’re going retro!) featuring improvisation unit, Elaborate Bungle. Elaborate Bungle’s self-titled recording features Joanna Dane (voice, flute, banjo, theremin, diddley bow, and percussion), Tad Neuhaus (guitar, electronics, bass and banjo), and Matt Turner (electric cello). Elaborate Bungle’s improvisations are a concoction of Americana, Throbbing Gristle, Derek Bailey and a hodge-podge of additional styles and influences. Cassettes are 6 dollars(add 2.00$ for S&H). Each cover is individually and beautifully hand-crafted. For more info, contact us at TurnMatt@aol.com, and we’ll put these wonderful orange units in your hands in no time.